6 juli 2018 / rektorsbloggen.uu.se / Kommentarer inaktiverade för Gästblogg: How do we solve antibiotic resistance? 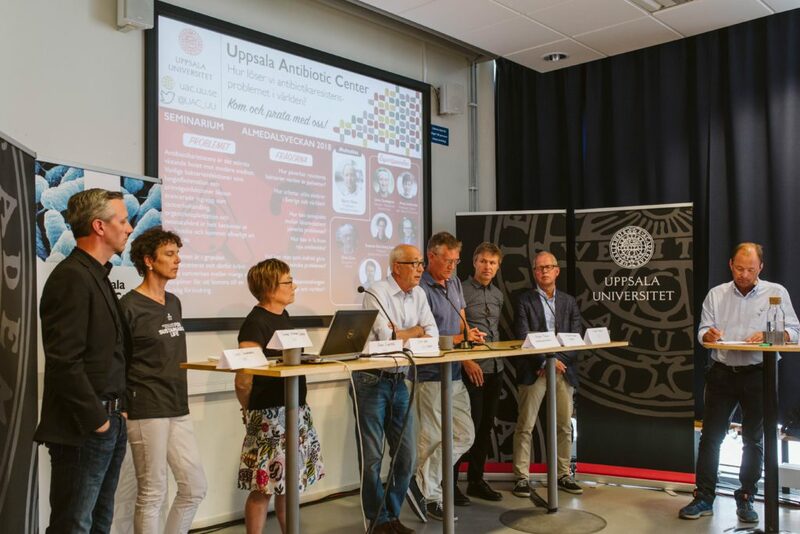 “Medicine as we know it today completely relies on working antibiotics”, this was one of the introducing statements at the seminar “How do we solve the antibiotic resistance problem in the world?” that Uppsala Antibiotic Center (UAC) arranged yesterday in Almedalen. Moderated by Björn Olsen, a panel of seven experts in areas such as bacteriology, social interaction, medicine, chemistry and veterinary epidemiology engaged in an active debate that aimed at pinpointing what we can do, as academics, politicians, and citizens regarding this current health threat. Resistance to antibiotics by bacteria is something that scientists have been aware of since the very beginning of antibiotics use, but its effects have not gained the global attention they deserve until recently. The lack of discovery of any new antibiotic classes for the past three decades, coupled with the increased use and misuse of available antibiotics has led bacteria to develop resistance to all available drugs and are threatening to bring us into a dystopian future where antibiotics are no longer a treatment option. Is it too late? The conclusion of yesterday’s debate is that it is not, but constant active work, broad collaborations and effective communication are needed to solve the current situation. 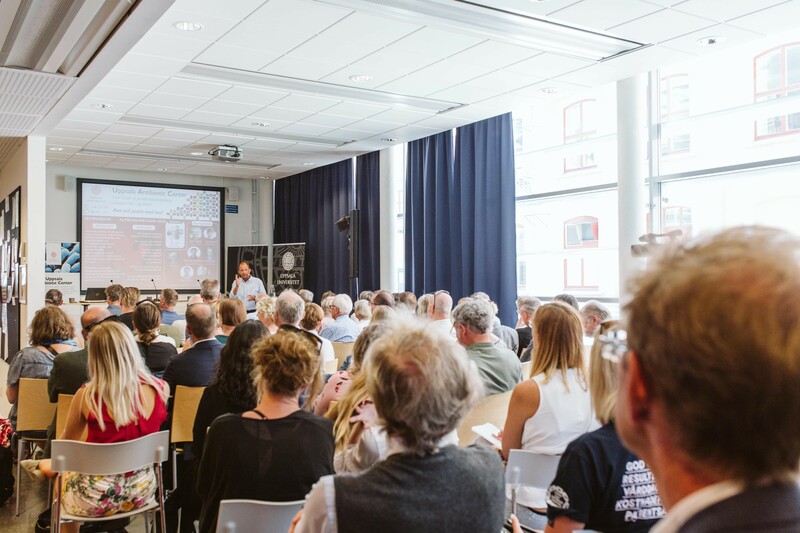 The seminar started with, perhaps, the most difficult question of them all – how to get broad, worldwide political change in the use of antibiotics. As a global problem that knows no boundaries, as indicated by Otto Cars, minimising selection and spread of resistant bacteria is something which every country should be working on. However, the economical possibilities differ widely between countries. Today, antibiotic resistance is without a doubt a political matter that requires global team-work and coordination just like global warming. Unfortunately, current collaborations between countries are not successful and more work is needed to achieve overall control. “But, are there any potential alternative to antibiotics treatment?” was one of the questions that several people from the public repeatedly came back to. It is logical to think that if antibiotics stop working we might be able to treat infections in different ways. Alternative treatments such as phage therapy or prevention strategies like vaccines and probiotics are being investigated, showing potential effectiveness towards specific bacteria and infections. Especially vaccination should be used as much as possible, but nevertheless, should be looked at more as complements than substitutes to antibiotic treatments. Although there is at the moment a drought in the antibiotic pipeline, current research initiatives between the industry sector and academia are possibly leading to new compounds that could hit the market in the near future. Alternative economical models that decouple antibiotic development from sales are also needed and are being tried. But, as pointed out several times, we must be cautious once we get access to new antibiotics to avoid ending up in the same situation we are in today. Resistance will always develop, and we must have a system in place that works consciously to preserve effectiveness. After the interesting and intense 90 minutes of questions, answers and debate, the panel wrapped up the session by highlighting briefly their take home messages. “This is not a one-solution problem and just as bacteria will not stop evolving we can never stop working on it,” Linus Sandegren pointed out, a statement that was repeated by other panelists. As a multifactorial problem we need many different scientific disciplines to work together to solve it. As a centre focusing on antibiotics and antibiotic resistance, UAC is actively working to create knowledge, establish and coordinate collaborations and help the communication of all matters in these topics – three key points to get closer to a solution to this problem. The high attendance and active interaction yesterday show that we are heading, without doubt, in the right direction.